Heather Burnside grew up in Gorton, a working-class area of Manchester famed as the original location for the TV series, Shameless. She moved from Gorton to Longsight and spent her teenage years on one of the toughest estates in Manchester. During the 1990s the estate became the headquarters for one of Manchester's predominant gangs. It regularly featured in the local press due to shootings and drug-related problems. Heather draws heavily on this background as the setting for many of her novels. After taking a career break to raise two children Heather enrolled on a creative writing course. During that time she had many articles published in well-known magazines and went on to run a writing services business before focusing on her novels. Heather now works full-time on her novels from her home in Manchester which she shares with her two grown-up children. 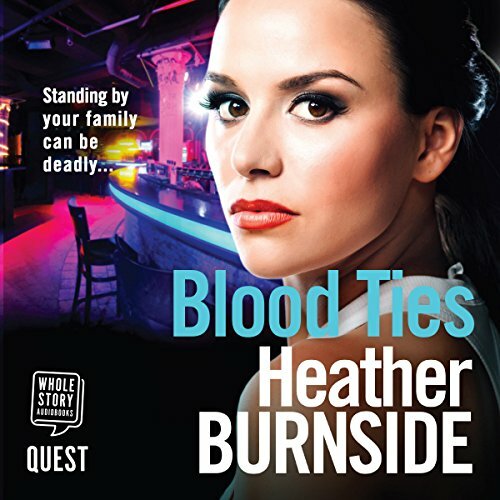 You can find out more about Heather's books by signing up to her mailing list at: http://eepurl.com/CP6YP to receive regular updates, or by viewing her website: www.heatherburnside.com.